A Life Group is a home fellowship gathering typically comprised of 8-16 people who meet regularly to study the Scriptures, share honestly from their lives and support one another through intercessory prayer, compassionate ministry and service to others in the name of Jesus. Trained leaders host and lead each group. An average meeting lasts for an hour and a half, fueled by easy conversation, generous laughter and light refreshments. How Important Are Life Groups? A commitment to respond to the grace offered by the God revealed to us in the Scriptures. A commitment to journey together as disciples of Jesus by developing healthy relationships that are characterized by truth-telling and mercy. In short, we believe that Life Groups are the place where the real ministry of the church takes place as we gather to study God’s Word while supporting one another and sharing our lives as maturing disciples of Jesus. We believe that meeting together regularly for these reasons is time well spent! When and Where Do Spokane Valley Church Life Groups Meet? Life Groups meet on various nights of the week in homes throughout the greater Spokane metropolitan area. All that is required is a comfortable place to gather and the hospitality of those who are willing to host a group. Spokane Valley Church makes a point of encouraging the formation of new Life Groups through the “all church Bible study” that is typically offered during the Lenten season leading to the celebration of Easter each spring. But Life Groups can be formed at any time when congregants enter into a covenant with each other to begin a journey together, either in a short-term study (typically 8-10 weeks) or a longer-term group with no predetermined end. For those Life Groups that begin a short-term study, at the end of each session a choice can be offered to remain in the same group, try a new group or even take a break from a regular group commitment. Over time we have learned that most Life Groups tend to stay together for several years once they develop the strong relationships that make small group ministry such a benefit to participants. Many Life Groups take a summer break given family vacation schedules, but others use these months to hold occasional gathering times to reconnect with one another to enjoy great weather and good friends. What is the Required Commitment? Joining a Life Group obviously requires a commitment to attend the regular meetings and do any Bible study “homework” ahead of time. Obviously, allowances are made for sickness, vacation, work conflicts and other special events, but since our Life Groups value the development of very strong and supportive relationships, a strong commitment to attend and participate in the group is absolutely essential to success. We recommend that new Life Groups closely evaluate their experience during the first three weeks they are together to make sure participants are finding the kind of good “fit” that will make this investment of time and energy a positive benefit to everyone. Some Life Groups choose to use studies that are based on the message of our weekend worship services. These “sermon-based” Life Groups are built on what might be called a “Lecture-Lab” model. Imagine the weekend message as a “lecture” on the practical experience of faithful Christian living, and the Life Group as a “lab” session where group members roll up their sleeves and discuss how the weekend message works in real life. But of course, some of our other Life Groups choose (either periodically or regularly) to focus their study time on other curriculum provided and/or recommended by our pastors and Life Group leadership team. Because we value the unity and continuing effectiveness of our Life Group ministry, Spokane Valley Church has requested that Life Group leaders seek advance approval to use any curriculum choices beyond the currently available resources that have been recommended or provided by our pastors. Few things in life are free and Life Groups are no exception! The basic cost of our Life Groups is the cost of personal commitment to the group. During the first meeting, each Life Group will complete a “covenant” together. This simple form helps each group discuss their priorities and commitment. Part of that commitment is the promise to attend each session and to complete the homework as well as to attend the quarterly social and do one service project for the year. You have the first three weeks to decide if your group is a good fit for you. But when you join a Life Group, you’re promising to attend and be prepared each week. It is this commitment that makes Life Groups work. We realize this is a big commitment, but for those new groups beginning a short-term study together, the end of the study period will offer the choice of recommitting for another study, trying a new group, or taking a break from Life Groups altogether. 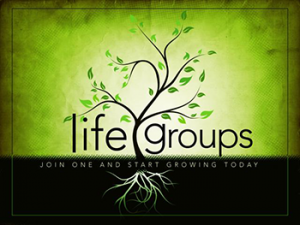 Life Groups are for adults only, although most groups will make exceptions for nursing newborns, up to six months. We leave it up to each Life Group family to work out their own child care. Sometimes it works best for Life Group families to share a sitter or to swap child care with another family whose Life Group meets on a different evening. For those Life Groups that meet at the church during times when Family Life Ministries programming is offered, child care may be available. How Do I Choose A Group? When selecting a group, we strongly recommend that you choose your Life Group based on your sense of compatibility with the leader-host team and a good “fit” regarding some common setting in life circumstances, rather than basing your choice on the relative convenience of the group’s location. Over the years, we have learned that Life Groups do best when members share a common set of life circumstances and other affinities or interests with their leaders, hosts, and other group members. In the end, you’ll find that a Life Group that shares an awareness of your household circumstances and needs is well worth the drive! 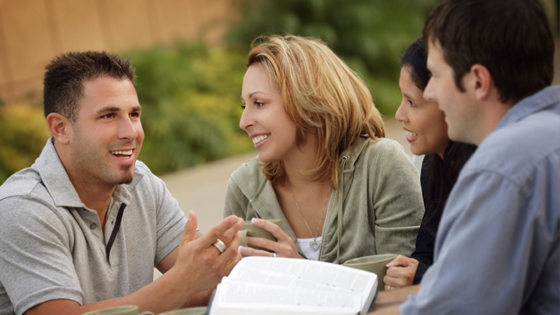 As our Life Group ministry develops, it is our intention to offer new groups divided among the following station-in-life groupings: Singles, Young Marrieds, Young Families, Parents of Teens, Empty Nest, Senior Adults, Young Professionals, College, Inter-generational (or “general” groups) etc. Please remember that these station-in-life groupings will be intentionally fuzzy at times since they are only meant to help you select an appropriate group rather than “boxing you in” for a group based on some sort of random and arbitrary demographic category. But ultimately, we recognize that only the presence and ministry of the Holy Spirit of God can be counted on to make your experience in a Life Group the kind of blessing and gift we seek. If you have any questions (especially if you are a newcomer to Spokane Valley Church), please don’t hesitate to contact the church. We will be glad to do our best to assist you in finding your place in the kind of Life Group that will make a positive impact in your experience as a growing disciple of Jesus. But please keep in mind that it might take visits to more than one Life Group before you find that perfect “fit” that you are hoping to experience. As we mentioned above, the good news is that the Holy Spirit can and will guide you! Your part in the process is to be open to receive what the Lord may wish to provide with a ready and receptive heart to learn something new as you share your journey with the other saints-in-the-making that are taking shape here at Spokane Valley Church. How Do I Sign Up For A Life Group? Before each “all church Bible study” begins there are typically three ways to sign up for a new Life Group: online, at our weekend services, or by calling the church office during the weeks before the study sessions begin. During the weekend services, our Life Group leaders and pastors will be available to help you find an appropriate group to visit and answer your initial questions. At other times, we will do our best to provide updated information (in the weekend service bulletins as well as our website) regarding all of those Life Groups that are available for you to visit before making a commitment to the group. To put it simply, we will do our best to help you find a Life Group whenever you are ready to take this new step in your spiritual journey. Are There Life Groups for Teenagers? Yes! Our Christyle ministries regularly offer small group experiences for our students. For more information about available small groups for youth, click here or call the church office at 509.926.1545. College age and early career young adults are invited to enjoy good food, a short but encouraging Bible study, and time to get better acquainted through conversations and interesting discussions. Pastor Billy and Sabera Buisman welcome you to join them twice a month on Sundays from 6:00-8:00 pm. For location call 509-926-1545 or Check out our Facebook Group .